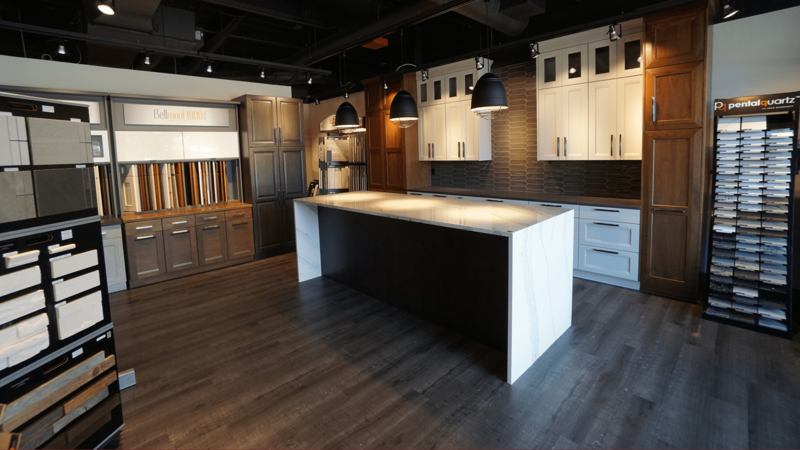 The Showroom Interior Solutions is pleased to showcase the extensive range of Bellmont cabinets. 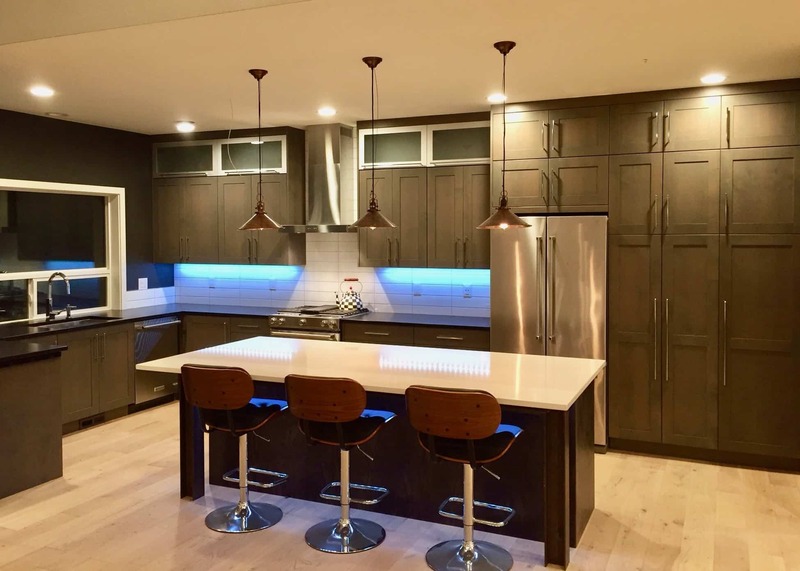 Bellmont is based in Washington State and is a family-owned cabinet manufacturer that has been in operation for over 30 years. 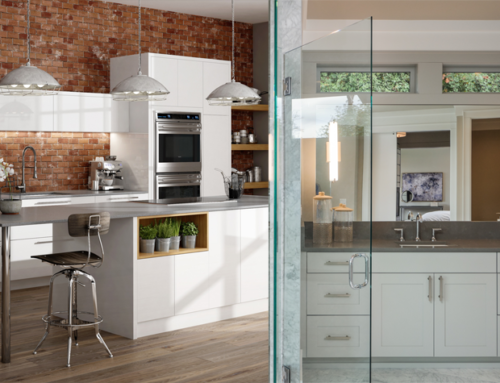 From the very beginning, Bellmont has been dedicated to product innovation, timeless trendsetting styles and functionality that consistently meets the contemporary needs of our evolving lifestyles. 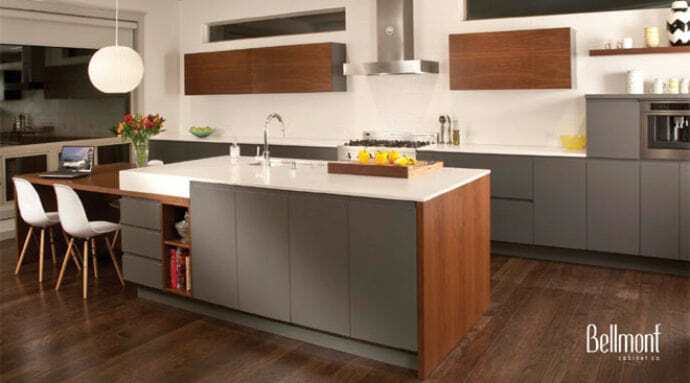 The company’s journey has taken them from humble beginnings to recognition as one of the finest frameless cabinet manufacturers in the United States. 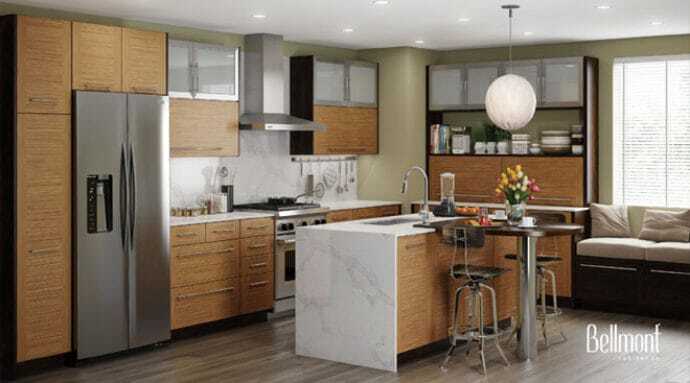 Combining the clean sophistication of European design with the warmth and texture of faux wood surfaces, Bellmont has achieved the inviting appearance of urban-rustic design. 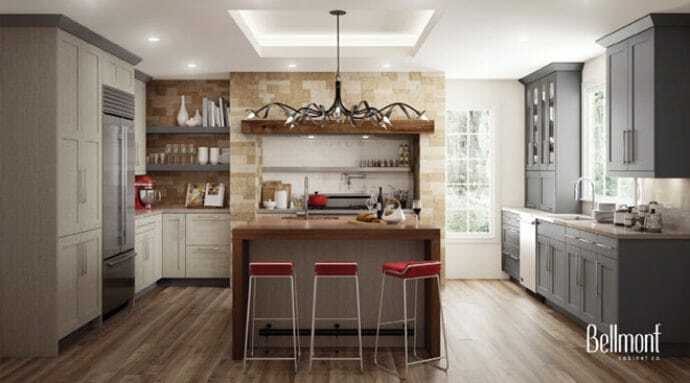 Accentuated with door styles and finishes that result in the style and feel of a Tuscan Villa, a Southwest Hacienda, a Craftsman Bungalow, or an edgy Metropolitan Penthouse. 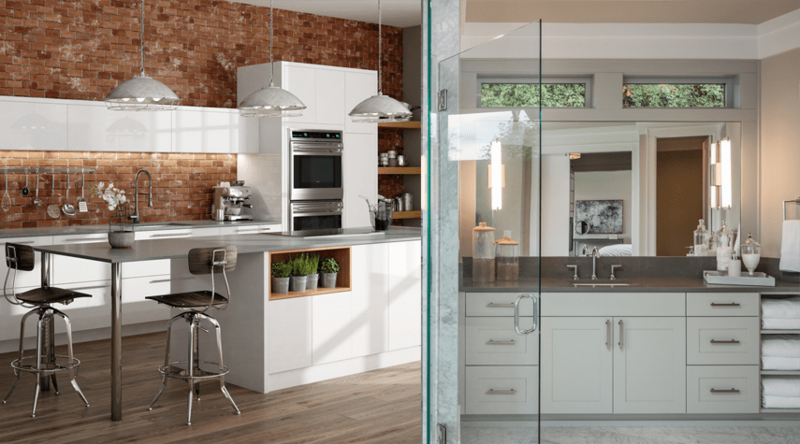 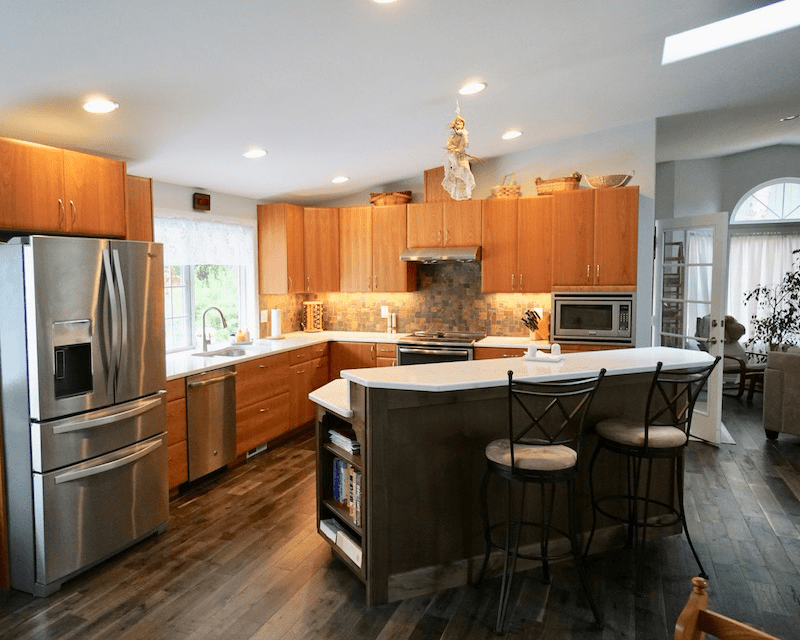 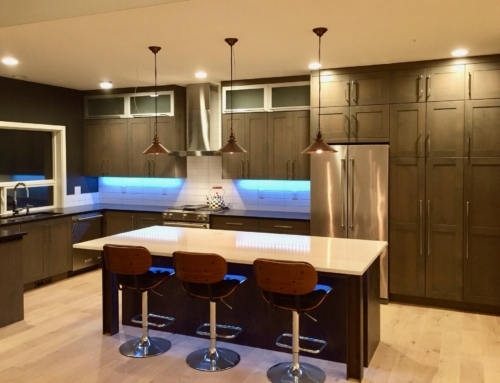 Bellmont’s affordable custom capabilities and tremendous selection of storage enhancements make it easy to design a kitchen that elegantly balances form and function. 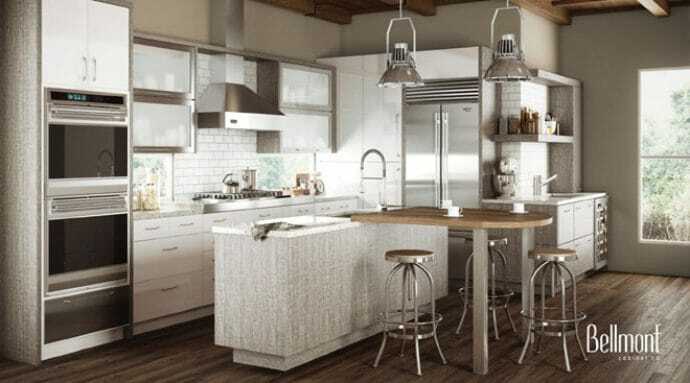 Bellmont proudly utilizes environmentally friendly products and builds responsibly as active stewards of our environment. 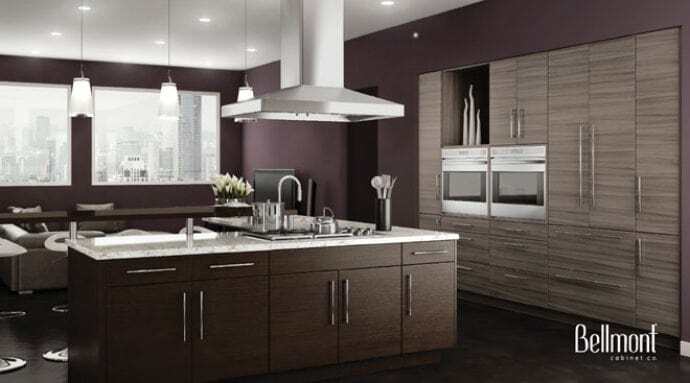 Exotic woods are replicated using real wood veneers and high tech, eco-sensitive, manufacturing processes. 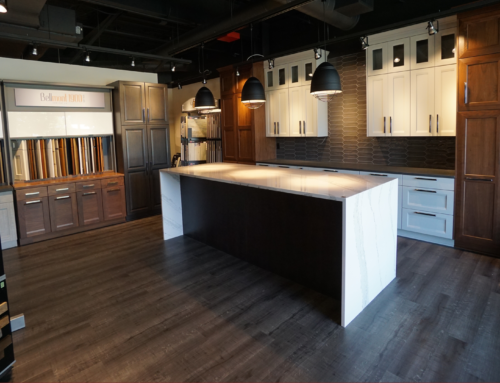 The Showroom Interior Solution invites you to stop by and browse our beautiful Bellmont cabinet selection today!